2013 Dresses | body wash | Steal This Dress! I’ve been a big fan of Softsoap’s body washes for quite a while. The brand is always coming up with fabulous new scents, each better than the last. My latest obsession is their Moisturizing Body Wash in Honeysuckle & Orange Peel scent. The citrus-y scent of Honeysuckle & Orange Peel bodywash is absolutely perfect for summer, when you want something with a really crisp and refreshing smell. In addition to the fantastic variety, what’s also great about Softsoap body washes is the price. $5-$6 for a healthy-sized bottle that always ends up lasting me for a while. I really hope Softsoap doesn’t discontinue this particular one! If I could have just one product in the shower (a horrific scenario, I know! 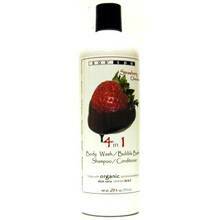 ), then SOS Spa’s Strawberry Chocolate 4 in 1 Body Wash/Bubble Bath/Shampoo/Conditioner is definitely the one I would pick. The smell is sweet without being overpowering. And it doesn’t have that artificial smell that makes me think that I’m covering myself in all kinds of disgusting chemicals. It lathers well and leaves your skin and hair feeling silky soft. It works pretty well on my hair, although it doesn’t have much detangling power. But then again, I never really expect that from a 2 in 1 product anyway. When I don’t have a lot of time to mess around with different bottles, I use this magical potion. It is definitely a lifesaver on those “I can’t believe I overslept again” mornings.